With a few days lieu time looming, here is this week’s report. Crich will be Saturday’s destination, with the Tracks to the Trenches event at Apedale on Sunday, so there should be plenty to report next week! Below: After the event comes the tidying up! 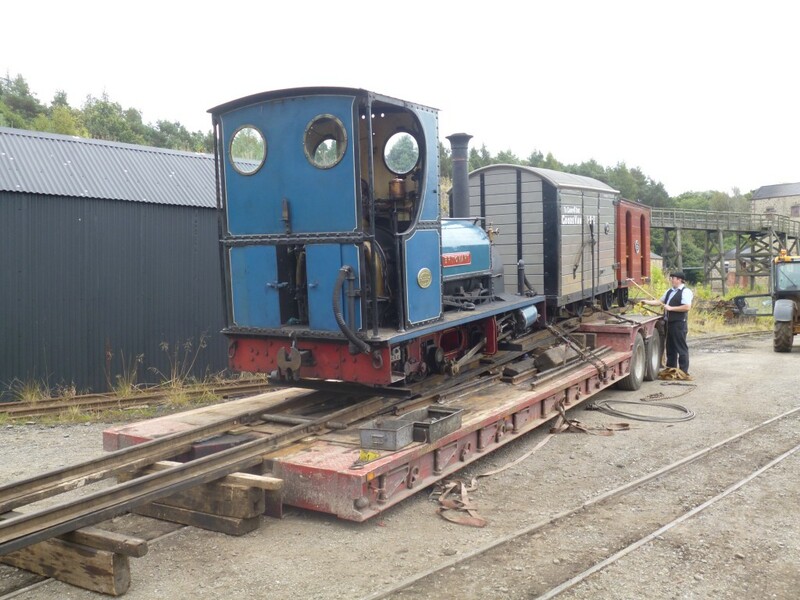 Britomart, the van and quarryman’s coach were loaded Monday morning and departed for North Wales mid morning. 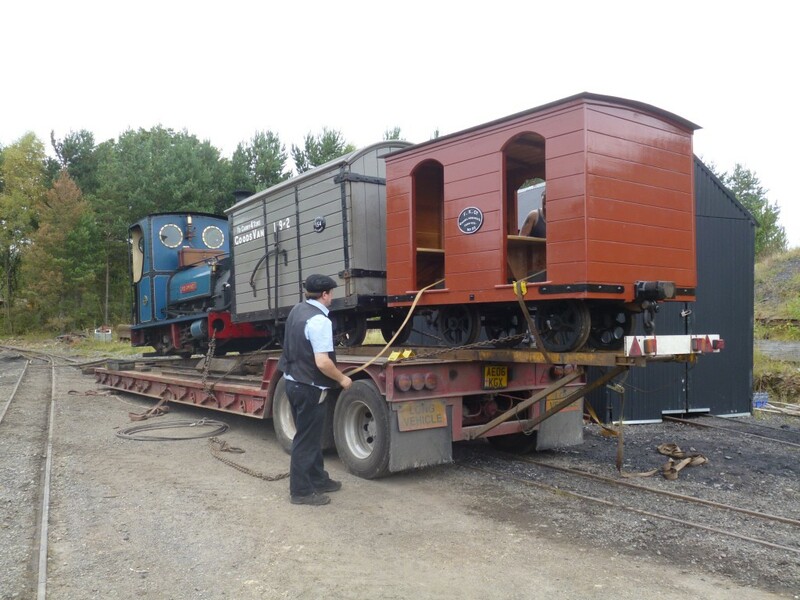 The beer waggon left today but the lorry returning it will not come back empty… More on this in due course. Below: Elsewhere on site another low-loader was collecting Newcastle 114, ready to move it to the National Tramway Museum at Crich where it is one of the attractions at their ‘Electric 50’ event, celebrating the very impressive half century milestone of electric tramcar operation there. 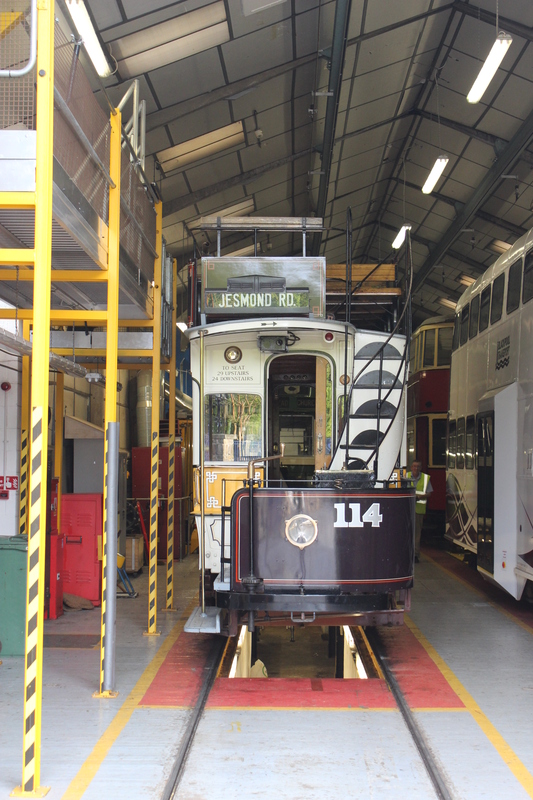 114 is the first tram from another Museum to visit Crich and operate and I for one look forward to seeing it alongside Newcastle 102 from the NTM’s own collection! The side advert boards were suitably amended before 114 departed, to acknowledge the event theme at Crich! 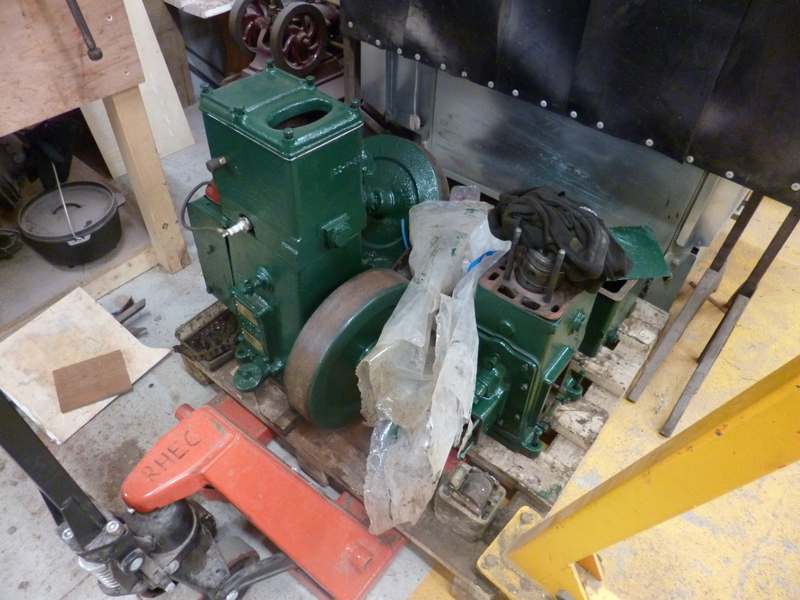 Below: By Monday evening 114 was safely tucked inside the workshop at Crich, as Andy Bailey’s photograph shows. 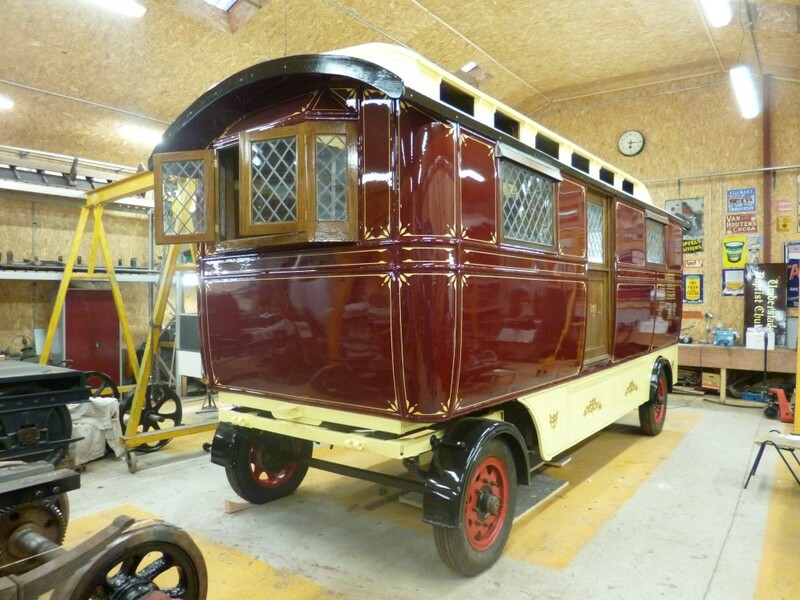 Below: Matt, the RHEC apprentice, has been beavering away inside the Showmans living van fitting beading and trim, refurbishing furniture and seeing to numerous other jobs required before the final electrics are completed and a lino floor fitted. 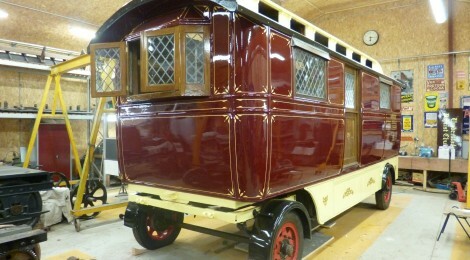 Below: With the exterior complete, the van is looking pretty stunning! 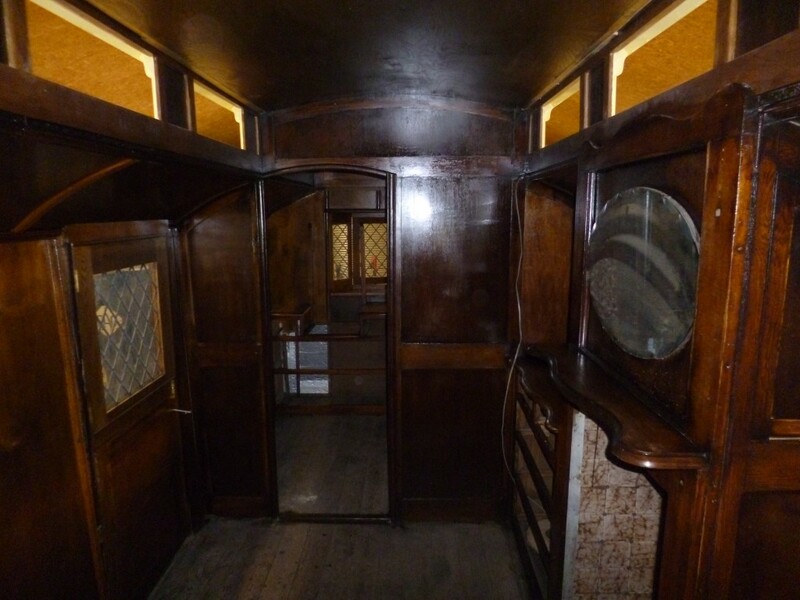 The interior is very nearly complete and we should see this rolled out later this month. Below: Regular weekday workshop volunteer, Bill, has been hard at work on numerous projects seen in these reports. 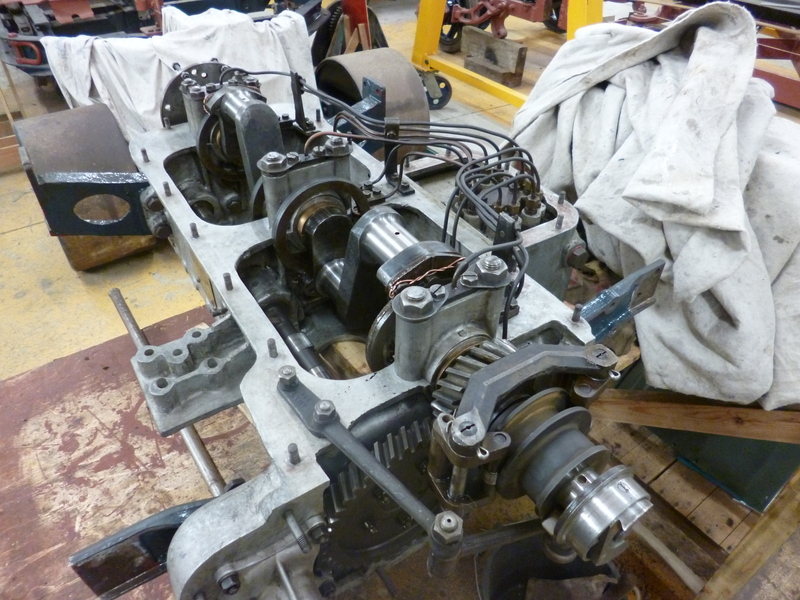 He has also been restoring a pair of Lister Ds for use by educational groups, who will take them apart and put them back together again. They will then operate one or two of the three others we have here. 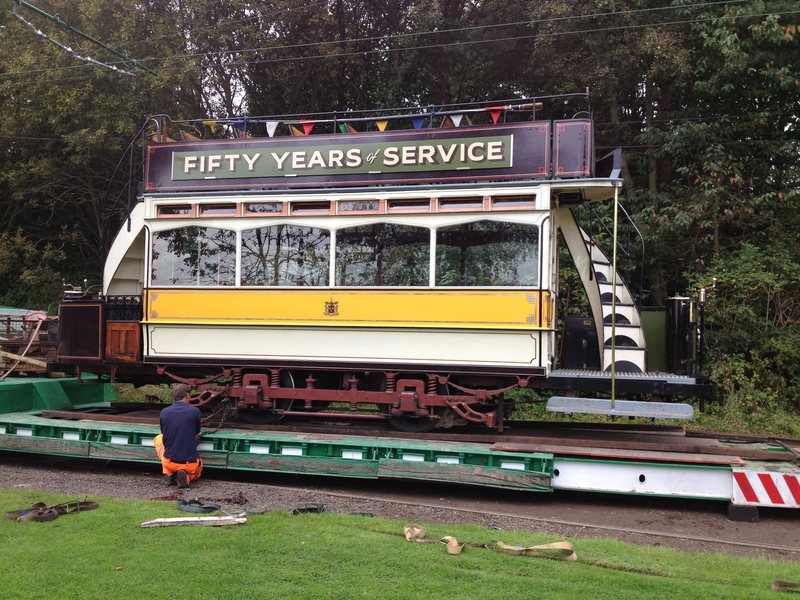 With green paint applied, this work is now drawing to a close, though Bill has moved on to assist Phil Anderson with the preparation of 58A for repainting as well as working on the horse tram. What is the possibility of Beamish getting 102 on loan from Crich in the future? 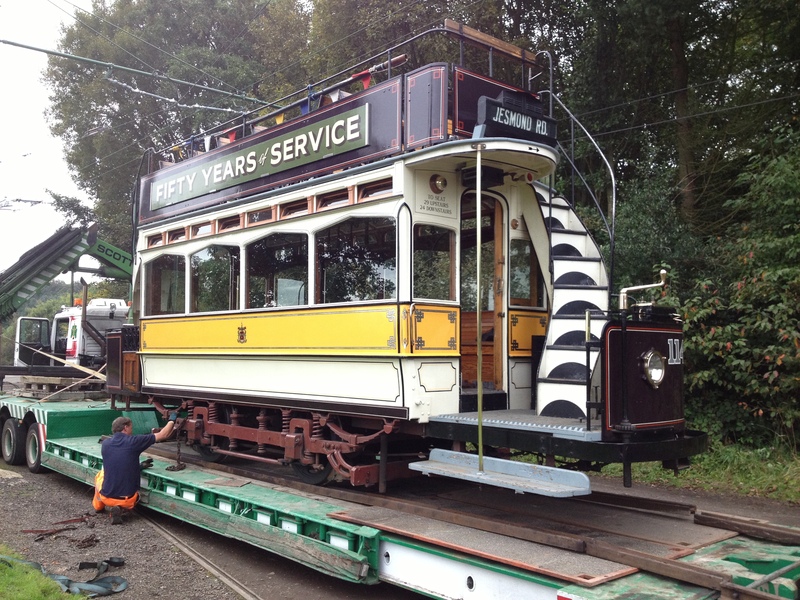 I understand it may be difficult as I read that 102 has a cracked axle problem which led to its withdrawal from use at Crich – I also appreciate that the circuit at Beamish may have curves too sharp for a tram of 102’s size.